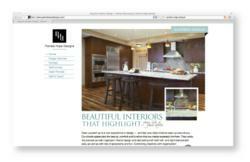 Lamps Plus, the nations largest lighting retailer, announces the top home decorating and interior design trends for 2014. Consumers are looking for fresh looks and new ways of decorating, offers Manja Swanson, Chief Creative Officer at Lamps Plus. This year there isnt one dominant trend, theres something for everyone out there. So what can consumers expect to see in 2014? Comfort is in this year, explains Swanson. From the cool palette and oversized patterning of a country cottage to the muted pastels and traditional elegance of a refined French look, decorating your home is about creating a retreat where you can easily spend time alone or entertain an entire room full of guests. Look to button tufted wingback chairs and luxuriously scrolling white finish chandeliers, to help get the look. Style mash-ups are also expected to feature heavily throughout the year. 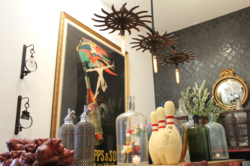 For an approach thats eclectic yet chic, combining a $ 5 flea market find and a $ 500 crystal chandelier is more than just doable, its sensational, says Swanson. In the eclectic interior, a Mid-century Modern chair is right at home alongside an ornate Georgian candelabrum. Its about playful colors and mixing and matching what you truly love. Another mix-and-match trend is the global look. A fusion of influences from across the world, this well-informed style is more composed and sophisticated than ever, incorporating earth tones and carefully selected patterns and textures. Observes Swanson, I love this look because it lets anyone incorporate discoveries from their own travels into their home decor. It really is a style that anyone can have fun with and put their own personal stamp on. The romance and nostalgia of family heirlooms and weathered finishes is a look thats always in style. Lamps Plus has incorporated these influences into its Vintage Charm design trend. To get the look, combine antiques with new designs in neutral colors and distressed finishes, explains Swanson. Layer on the textiles and upholsteries and enjoy the friendly look of a home that has accumulated a truly unique sense of identity over time. For a more contemporary look that incorporates the same well-lived and well-loved charm, industrial style continues to be very popular. In addition to rust finish metals and lighting fixtures with Edison light bulbs, industrial inspired decor is softer than it was a year ago, with more use of woods, rugs and textiles. Lastly, luxury continues to maintain its hold on the imagination. Brass, which returned to prominence last year, is gaining more mainstream acceptance and will feature heavily in homes. With the recent color-of-the-year announcements, from Sherwin Williams Exclusive Plum to Pantones Radiant Orchid, purple furniture and decor is also officially on-trend, lending a pop of imperial opulence to any elegantly designed living room. In addition to the classics like crystal, chrome and silver, advises Swanson, consumers can expect our Luxe Living design trend to start incorporating these rich colors and brass finishes this year. For additional information about these design trends and more, look for online style resources like the Shop by Trend pages on LampsPlus.com. Featuring original inspiration photography, style overview videos and a curated selection of products, online design resources such as this beautifully illustrate the major trends and styles for the year. While interior design trends are proof that style is always evolving, were also aware that redecorating every year isnt an option for most consumers, explains Swanson. By identifying major decor themes on our site, we hope to give people a framework for a home style that looks great right now, but is adaptable enough to change with the times. For more than 30 years, Lamps Plus has been synonymous with excellence in the retail lighting industry. Established in 1976, Lamps Plus is the nation’s largest specialty lighting store, with more than 40 superstores throughout the western United States. In 2013, LampsPlus.com was named a Top 10 Housewares/Home Furnishings e-tailer and a Hot 100″ world’s best retail web site by Internet Retailer Magazine. Together with its retail locations, the company serves customers nationwide with the largest selection of functional and decorative lighting fixtures, accessories, furniture and home decor. This selection includes hundreds of products, ranging from traditional chandeliers to the latest in home decor, available exclusively from Lamps Plus. The company also holds several patents for innovative lighting. Services offered include in-home lighting consultations, in-store workshops and installation from expert, licensed electricians. American Lighting Association certified designers are available to offer product recommendations and advice in all our stores, by phone or online at LampsPlus.com. The Lamps Plus family of web sites also includes 55 Downing Street, Lighting Luxury Style, Builders Discount Lighting, and Lamps Plus Open Box. Visit the official Lamps Plus web site: LampsPlus.com. Tata Technologies, a leading global provider of engineering services and product development IT, announced that Peter Davis, Chief Designer Vehicle Design will moderate a panel discussion titled Global Micro-Cars Interiors at the 2012 Wards Auto Interiors Conference on May 17, in Dearborn, Mich. Davis is the Chief Designer on the Tata Technologies electric MObility (eMO) engineering study EV, which made its world debut at the North American International Auto Show in Detroit in January, and which was again on display at the SAE 2012 World Congress in Detroit last month. Davis panel will take a detailed look at the challenges and possibilities of the micro-cars that are changing the world. Small is in, according to global automotive design trends; and panelists will share the latest ideas on where interior development is heading in these crucial vehicles. Davis will bring his personal insights from the eMO EV study to the discussion. Designing micro-car interiors is a creative challenge, and demands a holistic from the interior-out mind-set, especially in North America, Davis says. What you dont do, is simply shrink a big car down. You have to preserve the interior space and find clever ways of making it even larger and easier to use. You need to push the green house architecture, and minimize the interior furniture, like we did on the eMO EV study. We met that challenge, preserving a comfortable package for four adults, yet reducing the exterior size to a minimum. A high seating position, great visibility, a sensation of generous space, and easy ingress and egress were integrated into the vehicle architecture. Todays customers are used to great materials and finishes, and will expect richer interiors in these micro-cars. Micro doesnt mean cheap anymore, he added. Panelists scheduled to participate on the Global Micro-Cars Interiors panel include Jay Hutchins, Director of Marketing and Product Planning Faurecia Interior Systems; Katherine Sirvio, Senior Design Manager Global Chevrolet Color and Trim, Chevy Spark; and Tim Yerdon, Global Director Innovation and Design Visteon. J. Ellen Design, LLC tailors a menu of a la carte interior design services to fit the needs of residential and commercial clients throughout Manchester, Nashua and Portsmouth. Now, proprietor June Trisciani has moved her business to Stark Mill in Manchester, NH to partner with Colin O’Neill of Kitchen and Bath Unlimited, LLC and Robert McKenna of Millyard Cabinetry, Inc. Each owner intends this trio of services, deemed Millyard Design Collaborative, LLC, to yield advanced, comprehensive interior remodeling options to a wider variety of clientele. In 20 years of designing and managing various projects, Trisciani has developed understandable confidence in J. Ellen Design’s ability to provide stellar project management and customer service. With each job, she strives to take the stress out of often difficult processes like building, remodeling, and choosing colors and furnishings. J. Ellen Design, LLC has assisted in residential remodels of first homes, new homes, historic buildings, and vacation properties. The design team has also tackled commercial spaces, restaurants and healthcare centers. Trisciani brings this experience to Millyard Design Collaborative, LLC, as well as a fluency in Autocad, 2020 Design, Sketchup, and other technologies, to communicate efficiently with clients, architects and builders. By partnering with kitchen and bath designer O’Neill and master cabinetry installer McKenna, Trisciani is now part of a comprehensive interior shopping experience amassed in a single studio. Using a collaborative design approach, the collaborative team aims to realize and exceed clients’ visions. 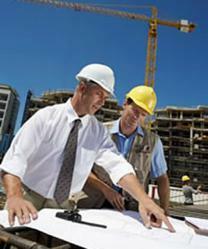 They assure clients that remodeling preferences and budgets will be stringently respected. Each member of the Collaborative brings together a team of qualified builders, contractors, and vendors to smoothly deliver projects on time. Millyard Design Collaborative, LLC is set up to fulfill special requests such as aging-in-place services, ADA compliance needs or environmentally friendly design. J. Ellen Design, LLC provides a full range of interior design services to both residential and commercial clients. J. Ellen Design, LLC is passionate about interior design and dedicated to working collaboratively with you. They can help you organize your ideas to make informed design choices for your home or business, and can provide expert guidance through the overwhelming array of options presented by a project be it painting a room, or kitchen remodeling, or remodeling an entire home, business or restaurant. J. Ellen Design, LLC coordinates with clients and their architects, builders and other trade professionals to create beautiful, comfortable spaces that reflect the clients personality and lifestyle. J. Ellen Design, LLC brings over 20 years of education, project management and customer service experience to every design project. Whether it is a first home, a new home to accommodate a growing family, a historic remodel, a vacation or investment property or downsizing into a smaller space, J. Ellen Design, LLC can assist. Choose the appropriate level of service and let J. Ellen Design, LLC leverage their experience to deliver stellar results. For more information visit their website at http://www.jellendesign.com. The American Society of Interior Designers has chosen global materials resource and innovation consultancy Material ConneXion for its annual Innovation Award. This prestigious award recognizes an individual or organization that has contributed a significant and innovative product, project or body of work relating to interior design. The ASID recognizes the work of Material ConneXion and its role as a leader in the research and presentation of new material innovations that advance the industry of design. The ASID is the countrys leading association for interior designers and has more than 30,000 members throughout the US and Canada. It is a community driven by a common love for design and committed to the belief that interior design, as a service to people, is a powerful, multi-faceted profession that can positively change lives. The Society strives to advance the interior design profession through education and advocacy and, in the process, demonstrate and celebrate the power of design. Material ConneXion was founded fifteen years ago by George M. Beylerian who saw how critically important material innovation would be in the very near future. Today, Material ConneXion is a resource for thousands of designers around the world who are increasingly looking for sustainable materials to create their designs. With more than 6,500 innovative materials and processes in nine locations worldwide, as well as a state-of-the-art online database, theres a material solution for every idea. For Material ConneXion, innovation means offering designers and architects a very real solution by researching materials that are not only beautiful and useful but often have groundbreaking impacts on the environment, says Michele Caniato, President of Material ConneXion, speaking from Chicago while attending NeoCon where the announcement was made. The ASID Innovation Award is just another example of the extraordinary breadth and scope of Material ConneXions unwavering determination towards making material innovation an element of everyday life, says Adam I. Sandow, CEO of Sandow Media, the parent company of Material ConneXion. Having worked side by side for many years with the ASID, Material ConneXion is incredibly honored to accept this award that for us, celebrates the power of material innovation to enhance the world in which we live and interact with on a daily basis. Our primary goal is to serve as a catalyst for design innovation. We do this by being a conduit for educating designers on whats happening in the world of materials across all disciplines and industries, said Michael LaGreca, VP Library of Material ConneXion, who accepted the award on Monday night on behalf of the company. Material ConneXion (a Sandow company) is a global materials and innovation consultancy that helps companies create the products and services of tomorrow through smart materials and design thinking. Focused on delivering Innovation That Matters, Material ConneXion is the trusted advisor to Fortune 500s, and any forward-thinking company or government agency seeking a creative, competitive, or sustainable edge. With offices in New York, Milan, Cologne, Bangkok, Seoul, Daegu, Istanbul, Beijing and Shanghai, Material ConneXion’s international network of specialists provides a global, cross-industry perspective on materials, design, new product development, sustainability and innovation. Material ConneXion maintains the worlds largest subscription-based Materials Library with over 6,500 innovative materials and processesan indispensable asset to a wide audience of users. Its sister company, Culture + Commerce, represents the worlds leading designers, including Philippe Starck and Marcel Wanders, in licensing their groundbreaking new products. For more information, visit http://www.materialconnexion.com. Founded by Adam I. Sandow in 2002, Sandow (http://www.sandow.com) is a leader in building multichannel, vertically integrated brands. The companys foundation is built on identifying underserved markets, creating indispensable resources, and building influential consumer and trade platforms across marketing, media, experiential and commerce. Sandows media platform includes the powerhouse print, digital and commerce properties under NewBeauty; Worth, the business and finance magazine for the ultra-affluent; Luxe Interiors + Design, the nations largest network of luxury design magazines; Interior Design, the iconic publication serving the interior design industry; Surface magazine, the American voice of the contemporary luxury design world; and the Furniture Today Group, recently included in B2B Magazines Media Power50. Sandows experiential/event platform includes Gen Art, the beloved organization that engages consumer audiences and aligns brands organically with emerging talent in film, fashion, music and art. Sandows marketing platform includes Material ConneXion, a global materials consultancy and library, Culture + Commerce, a strategic design consultancy that develops opportunities for global brands and international designers, and Wonder, a multi-disciplinary design and branding agency. Sandow has more than 400 employees nationwide, with offices in New York, Florida, Los Angeles and North Carolina. The Vancouver office of Perkins+Will was recently honored by the Interior Design Institute of British Columbia (IDIBC), when they were presented with two awards at the Institutes Awards of Excellence 2012 gala. An annual celebration of interior design excellence in British Columbia, this years IDIBC event highlighted the industrys increased focus on sustainable design. Perkins+Wills design for Cobalt Engineerings new corporate headquarters in Vancouver earned the only Award of Excellence in the Workplace Total Category and an Award of Merit in the Sustainability Category, one of only two projects that were recognized across multiple categories. We are incredibly pleased to have our work recognized as one of this years market-leading designs, says Loren Cavallin, Perkins+Wills Director of Interior Design and the lead designer of the Cobalt Office Interiors project. Cobalt is a creative and innovative company that believes strongly in collaboration and sustainability. We wanted their corporate interiors to reflect these core values. Targeting LEED-CI Gold standard, the project was developed in close collaboration with the client, allowing them to showcase their leadership in sustainability. While the building site offers prime water and mountain views, strategic planning, low panels, and transparency maximize vistas throughout the entire space. A focus on daylight harvesting reduces energy consumption, and custom plywood lighting fixture in the reception area speaks to light and air, Cobalt’s core business. We couldnt be happier in our new space, says Stuart Hood, Managing Partner of Cobalt Engineering. The team at Perkins+Will worked closely with our mechanical and electrical engineers to design an office that is a joy to work in. We are able to showcase the benefit of collaborative integrated design with electrical, lighting, mechanical and interior design coming together as one. We have moved from an office where our clients would rarely visit to a place where we can host meetings with pride. The Cobalt Vancouver office will now join other Perkins+Will projects, such as TELUS House, Haworth Calgary, and the City of Vancouver Engineering Department, as IDIBC award-winning projects. With an expanding portfolio of workplace interiors, the firm is currently applying their innovative approach to the corporate offices of industry giants Microsoft and CBRE. Perkins+Will is a multi-disciplinary design firm with over 29 years of experience in Vancouver. The firm is known for design excellence and innovation, approaching the challenges of architectural, interior and urban design with a global vision and unmatched resources. Led by a strong leadership group who provide a range of expertise and diverse perspectives, Perkins+Will Vancouver is able to maximize its clients vision, transforming ideas into built excellence, on time and on budget. Founded on the belief that design has the power to transform lives and enhance society, the office is deeply connected to its community, donating one percent of its design services to local, non-profit organizations every year. Committed to the 2030 Challenge, the firm is ranked among North Americas leading green practices with an in-house research department and one of the largest portfolios of completed, deeply sustainable buildings, interior spaces and urban plans. As a testament to their commitment to excellence, Perkins+Will Vancouver has received more than 150 design honours, including 6 Governor Generals Medals in Architecture, 13 Lieutenant Governor of British Columbia Awards in Architecture, the coveted Royal Architectural Institute of Canada Firm of the Year Award, and has consistently been named one of Canadas Greenest Employers by the Globe and Mail. San Francisco based globetrotting interior designer Jonathan Rachman of Jonathan Rachman Design announces his Marin debut of his private collection of global artifacts, available exclusively at Mill Valley interior furnishings boutique, Revelation. The Jonathan Rachman Collection highlights his love of collecting and re-purposing unique and patinaed curios from around the world. Antique silhouettes, vintage laboratory chemistry jars and brushed metal airplane wings are just a few of the items that create a fascinating blend through which one can peruse. Jonathan Rachman burst onto the San Francisco Bay Area interior design scene with his Collectors Library at the 2012 San Francisco Decorator Showcase winning him much press attention and praise. Featuring an elegant European sensibility meets a touch of industrial design that was classic but current, timeless but also contemporary, his distinctive choice of objects evoked curiosity and conversation. Jonathan believes in preserving artifacts and found objects from the past for the enjoyment of the future generation. His design style is a harmonious collection of artifacts from Asia, Europe and America, be it antique, vintage or industrial. As Jonathan says, I believe in telling a story with every room I design. Leading online supplier Door Handles LTD is today giving security advice their handles for doors and the security questions that they raise. Interior door handles belong to the list of hardware needed to complete the installation of a door including the hinges and the locks. Handles do not only allow users to open and close the door. They also provide a refreshing distraction to an otherwise plain door that has been installed for its ingress and egress purpose. But in the light of recent social dysfunctions that include the breaking in of thieves, door handles have started to become more useful as security tools to ensure that homes are kept secured and that the door sonly provide access to those who have a right to be there. With this development, homeowners and builders are now more conscious about security and are incorporating that aspect when choosing the handles for doors. It is possible to choose an attractive interior door handle that can keep the abode safe at all times. Function can co-exist with aesthetics when it comes to door handles and a closer look at the various online catalogues will prove that. So how does one choose handles that will keep the homes interior doors secure? The first thing that should be done by the homeowner or designers is to decide on the lock needed for security purpose. It will be a choice between the cylindrical locks which are cheaper or the mortise locks which provide more security. The interior doors of most homes are not however equipped with locks and they just require a latch. People who are in constant threat of danger however opt to equip their interior doors with locks to keep them more secure. Choosing attractive interior door handles will go a long way in upgrading the looks of a home. However, it can also be used to heighten the security of a home which is nowadays one of the requirements of companies offering home insurance. Door handles no longer just provide homeowners with a design statement. More importantly, handles for doors provide homeowners a chance to upgrade the security of homes without destroying the home aesthetics. Doors can now be equipped with attractive brass door handles or copper door handles with deadbolts or even mechanical deadbolts for maximum security. Mechanical developments have made interior door handles more attuned to security measures. It is even possible to choose door locks that do not require keys in order to keep the doors faithful to the home design. With the wide array of choices available to homeowners, there is no longer any reason why they cant have it all—security and beauty. In 2011 the Seven Clans Thief River Falls Casino, located in Thief River Falls Minnesota, contracted with I-5 Design to create casino design for various areas within their property. Gathering from the natural surroundings, I-5 Design created a north woods, lodge style casino design, with a unique color palette of terra cotta and midnight sky blue. In February of 2012, Seven Clans then continued with I-5 Design & Manufacture for the manufacture and implementation of the overall casino design. From manufacture to implementation, with no down time to the facility, interior casino renovation was completed by the middle of May 2012. 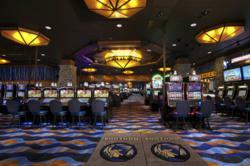 The new casino design for Seven Clans Casino produced an environment that increased customer flow, and revenues by creating a unique destination in the Thief River Falls area. Pamela Hope Designs, a Houston interior design firm specializes in high-end design services with a focus on style, comfort and ease of process. Owner Pamela OBrien and her team of interior design specialists have over a decade of experience with all aspects of residential and commercial design, and offer comprehensive design services for Houston-area homeowners and businesses. From project management services to color consultation for both remodels and new construction, Pamela Hope Designs brings a wealth of experience to every job. The team has worked with many prominent clients in Houston and nationwide, and has experienced significant growth in recent years. This growth, and a desire for an upgraded web presence, has prompted a complete rebrand for the company. In order to align with its evolution into a premier high-end Houston interior design firm, Pamela Hope Designs turned to inbound marketing agency Adhere Creative to create its new web design. Adheres team of marketing, design and development professionals put together a fresh new look for the design firm that reflects its vision for the future and focus on gaining new clients. Owner Pamela OBrien believes that the new rebranding represents her companys dedication to great design. She states, I am pleased to launch the new Pamela Hope Designs web site. I think it reflects our love of comfortable luxury, clear communications, client collaboration and our fun and refreshing approach to interior design. I believe great design is a huge pleasure and can affect your life every day. Our clients enjoy the experience as much as the results. Nathan Yerian, Director of Strategy for Adhere Creative, is also pleased with the results and the success of his companys collaboration with Pamela Hope Designs. Working with Pamela on this project was a pleasure. Her passion for interior design made the design process flow smoothly and the result was clean and focused on the value she brings to her clients. With an attractive new site and a fresh, updated look for her brand, Pamela OBrien is looking forward to expanding her client base and helping Houston-area residents and businesses create more attractive interior spaces that reflect the ways they want to live and work. She believes that Adhere delivered the results she was looking for. The Adhere Creative team was a fantastic partner when it was time to rebrand my company and upgrade our web site. They exceeded my expectations being on point, on schedule and on budget. From the first meeting, they not only listened, but they really got it. I couldnt believe how good the first draft was. Excellent work, Adhere — I look forward to future projects! Adhere Creative, a Houston inbound marketing agency specializes in measurable, results-driven marketing initiatives for small to mid-sized businesses.